While kids might prefer to have their own rooms for space and privacy, the simple fact is that many siblings end up sharing a room. When this happens, their fighting can drive parents insane, especially since there is no other place for the children to go. Here are some tips and tricks to help you keep your sanity when your children are sharing a room and struggling to adjust to the situation. One of the best ways to keep your sanity is to ensure the kids have comfortable sleeping arrangements that give each child enough space to enjoy their hobbies and have a private area. Beds for children and adults alike are a personal place where they can go to relax and be away from other people. If the kids are cramped together in a bunk bed or forced to share beds that are close together, they might become unhappy from the invasion of their space and start to fight. To combat this problem, it’s recommended to ensure each child has a bed that can accommodate them and even gives them enough space to engage in hobbies like reading, drawing or handheld video games. 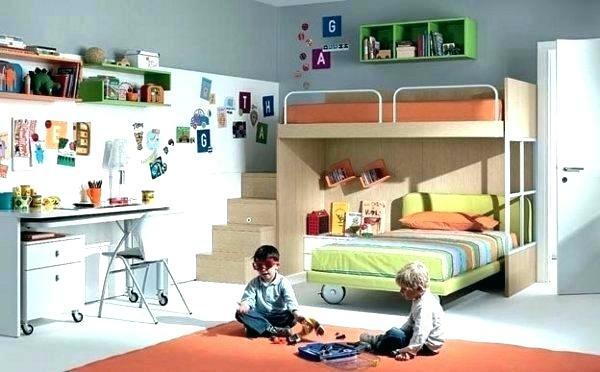 The best sized bed for most children is a twin, which your kids will love because there is enough space for themselves, giving them an island of solitude in a shared room. Other reasonable sleeping accommodations are bunk beds, but only if the siblings can agree about who gets to sleep in what bunk. Siblings should not be made to share a bed if it can be avoided to prevent fights again. Kids do not like to clean. It seems like they go through several phases. When they’re toddlers and still young, they always want to help around the house and act like an adult. When they get a bit older, they suddenly do not want to do chores or work anymore and trying to get them to do anything around the house is difficult. Having siblings around can make the situation work. Why? There are excuses you’ve probably heard before. Siblings that share a room can complicate the situation. Many children start to think that they shouldn’t have to pick up toys or clean the entire room with their sibling because clearly the mess had been made by the other kid. To keep your sanity, don’t get involved with their fights. Set up a cleaning schedule and make the children take care of the entire room together, not forcing them to pick up piecemeal sections. However, if one kid is definitely messier than the other, don’t punish the clean child either. Pay attention to who makes what mess and plan accordingly to prevent strife. Don’t let having the kids share a room get you down. Believe it or not, it’s perfectly possible to keep your sanity when the siblings share a space. You just want to make sure each child feels respected, secure, and that you can teach them mutual responsibility for the common areas. Once that is done, room sharing should be a breeze.